Antlers' frontman Peter Silberman releases the solo LP Impermanence which works wonderfully as a peaceful protest among louder glitchier new releases. 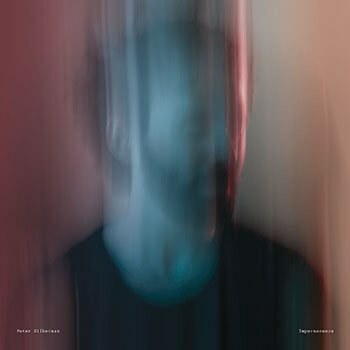 Between 2009 and 2014 Peter Silberman’s band, the Antlers, released three stellar full-lengths: Hospice, Burst Apart, and Familiars. It could be argued that each album concerns trauma and recovery in some way, be it the emotional fallout of Hospice, the difficult journey back to trust on Burst Apart or the reconciliation chronicled throughout Familiars. Silberman’s proper solo debut, Impermanence, again concerns itself with a meditation on a trauma, this time the very specific issue of Silberman’s temporary hearing loss. Although it lacks much of that old Antlers grandeur, the journey Impermanence takes its listener on is affecting all the same. Impermanence’s quiet, fragile atmosphere is the product of tinnitus and a period of hearing loss in Silberman’s left ear. It’s the sort of record where the most exciting moment happens nearly six minutes into an eight-minute song, but this isn’t to say Impermanence is to be listened to passively. Similar to how meditation requires an enormous amount of concentration, for best results the listener’s attention needs to flow with the songs. Opener “Karuna” doesn’t hold the listener’s hand, dropping us as it does into a setting where pauses are as vital to the song as Silberman’s nylon string guitar. But those who hold tight will find the song becomes epiphanic as it reaches its change. A less formidable singer than Silberman would risk being unable to make songs such as these work. But Silberman’s voice abounds with emotion even in Impermanence’s low key settings. “New York”, the album’s most single-worthy song, is rife with genuine lamentation. “Maya” has a slightly hokey or at least too-familiar melody line, but Silberman’s delivery makes it feel totally pure and uncalculated. The way his voice rises and falls in the subtly epic “Gone Beyond” keeps its segue into warped doo wop from being too jarring. And then there is “Ahimsa”, a song not fixed to any specific time but highly relevant in its requests for no violence. Although “no violence” could be interpreted as a plea for a reduction in noise, that the song exists in a moment when the threat of literal violence is very real, it comes across as the first great protest song of 2017. Add to this its video, in which stock footage of flowers blossoming is juxtaposed with bombs exploding, and it both touches on and provides shelter from a very real threat many of us are currently existing with. Due to its austere tones and relaxed pacing, Impermanence may seem to some almost too serene to leave a lasting impression. But rather, its deliberateness allows the album to stand out in a stream of releases seemingly manufactured for the shortest attention spans possible. The heights it reaches may not be as dizzying as those on that run of almost perfect Antlers full lengths, but Impermanence works wonderfully as a peaceful protest among louder glitchier new releases.